Gibson Les Paul Historic 1960 R0 Reissue Flame Top with case and COA. Awesome Gibson 1960 Reissue (R0) flame top Les Paul just in to Roadhouse Canada location. 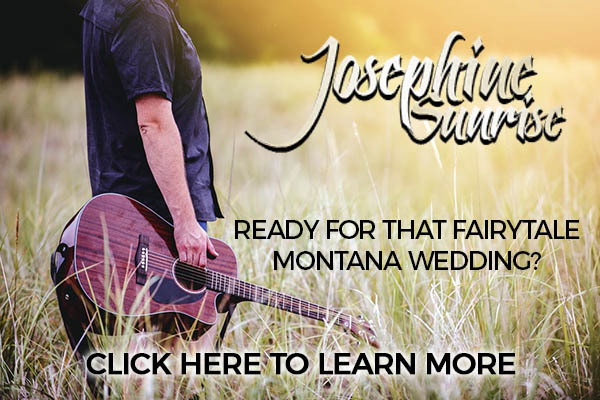 Guitar is in incredible condition and comes with original case and COA. Thanks to this exquisite reproduction, you can have a 1960 Les Paul of your very own. This Gibson Custom Historic 1960 Les Paul Standard VOS is built from top-tier tonewoods, including a solid mahogany body, beautifully figured maple top, and rosewood fretboard. It will inject your playing with authentic PAF tones, courtesy of Custombucker pickups and a handwired harness with Bumblebee capacitors. This true-to-life re-creation also boasts hide-glued construction, an extended neck tenon, and vintage-style Kluson tuners. A gorgeous, thin VOS nitrocellulose lacquer finish completes this Historic 1960 Les Paul Standard VOS. 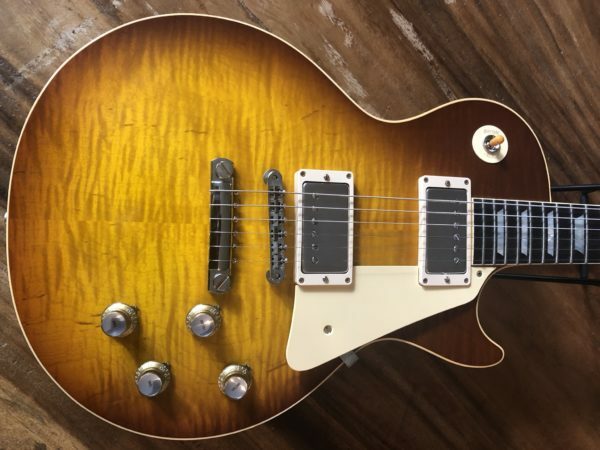 If you want all that an original 1960 Les Paul has to offer, you’ll appreciate this superb reproduction. From a neck and fretboard attached with hide glue to the use of an original-spec truss rod, truss rod washer, and anchor, we’re talking about an accurate reproduction down to the last detail. 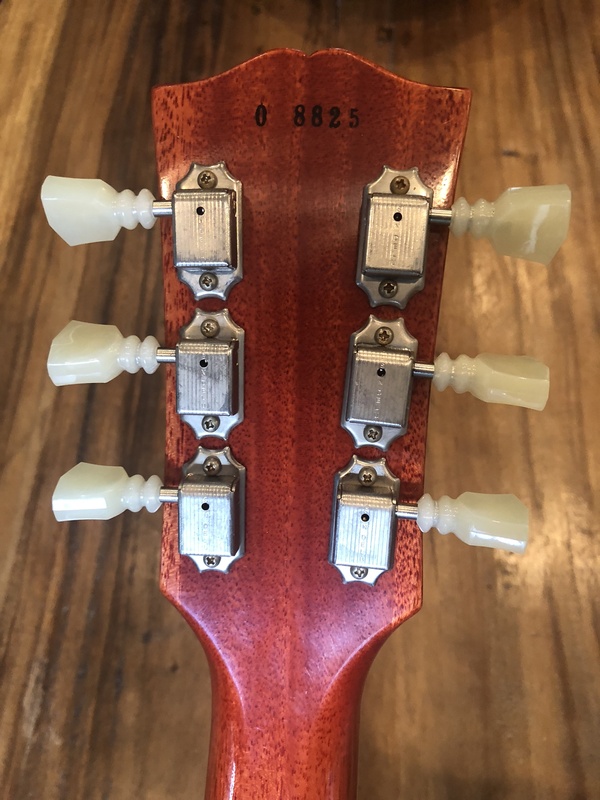 Gibson even analyzed the vintage plastics on the Kluson tuners at the molecular level to ensure accurate reproductions. Take it from Sweetwater’s guitar experts, this Gibson Custom Historic 1960 Les Paul Standard VOS is one of the most accurate re-creations ever. To revive the essence of the original 1960 Les Paul, Gibson painstakingly re-created each part piece by piece. 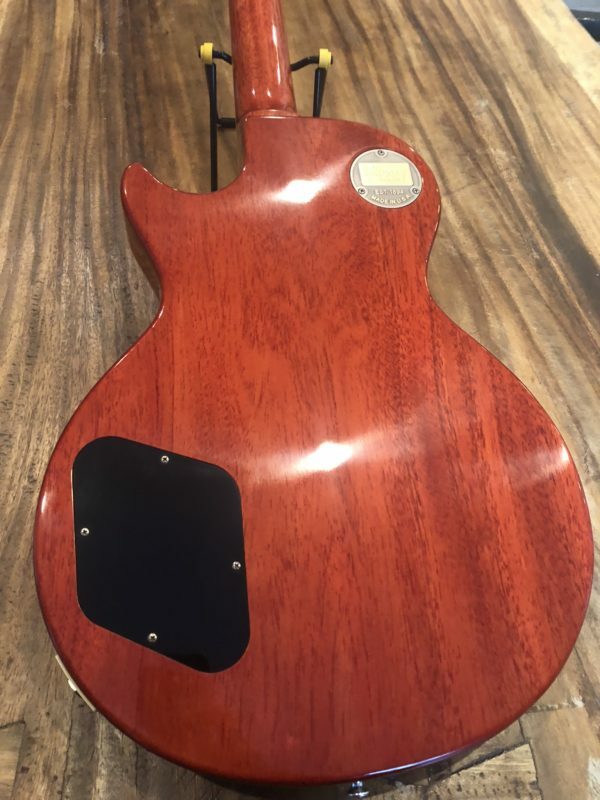 The surprisingly lightweight mahogany body, 2-piece figured maple top, and solid rosewood fingerboard are only the beginning. 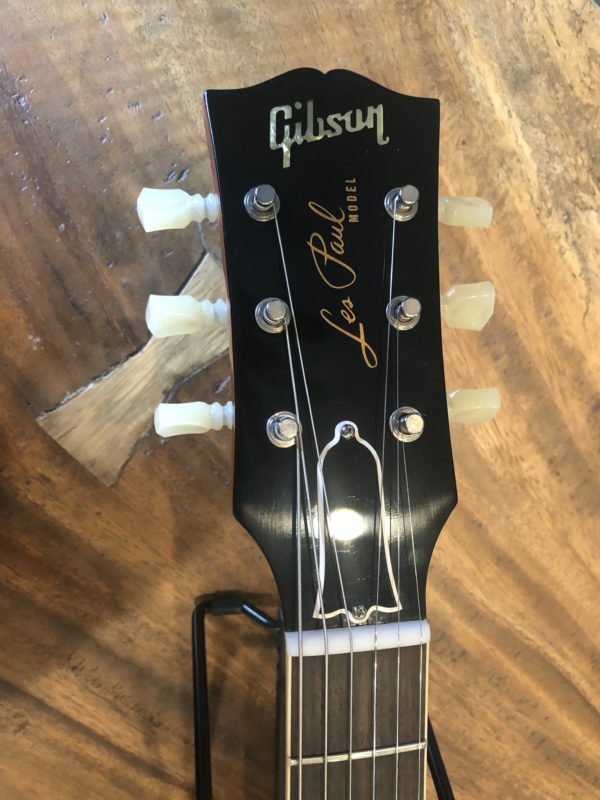 Not only do you get the 1960 Slim C-shaped neck, but but you also get accuracy of details all the way down to the straight-line positioning of this Historic 1960 Les Paul Standard’s vintage-style Kluson tuners, the size and shape of its cellulose trapezoid inlays, and its ’60s-style long neck tenon joint. Gibson Custom paid just as much attention to this Historic 1960 Les Paul Standard VOS’s electronics as they did to its aesthetics. 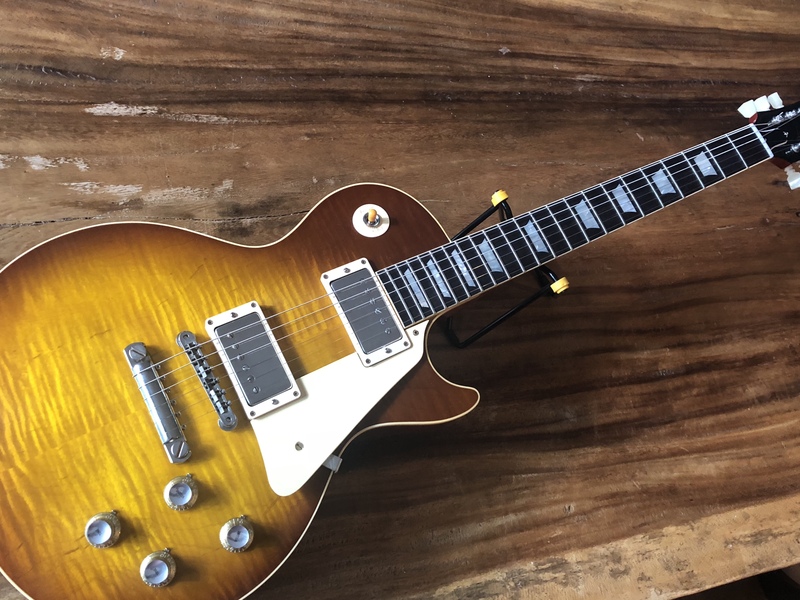 Beginning with vintage CTS potentiometers and Bumblebee capacitors, every part of its internal signal path was designed to give you absolutely dead-on 1960 Les Paul tone. Of course, it’s next to impossible to find genuine vintage PAFs (even for Gibson). Instead, this Historic 1960 Les Paul sports a pair of Gibson’s Custombucker humbuckers. The Custombucker is the most historically accurate PAF copy ever.